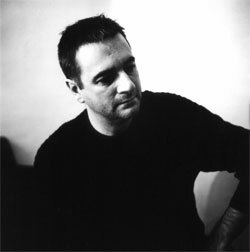 Before I go any further with this review, I should nail my colours firmly to the mast and say that Paul Morley is, and has been for many years, one of my favourite, favourite writers. I first started reading his work in my late teens/early twenties in the heyday of the New Musical Express. Morley was then writing what were considered some of his classic pieces for NME, pushing the boundaries of so-called rock journalism – I still have a lot of these saved, and they’re priceless in my opinion. I have all of his books, and if push came to shove, on most days my desert island book would be his memoir “Nothing”. It’s a personal memoir of growing up in the north in the 1970s, combining adolescence, the discovery of music and Joy Division, and the suicide of his father. I’ve read it several times and I think I will always re-read it – it’s profound, moving, and it speaks to me about coming of age in that era in a way no other work has done. What I love about Paul Morley’s writing is his ability to play with language, to say things and convey feelings in a way no other author can. So I approach this short work, produced as part of Penguin’s celebration of the 150th anniversary of the London Underground, with a significant amount of bias! 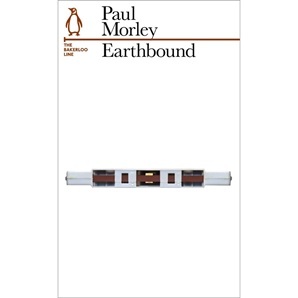 “Earthbound” is something you could never call Morley’s fantastic flights of prose and this slim book is a very personal response to the Tube (particularly the Bakerloo line), in the context of Morley’s first encounters with it. The Underground is presented as combining nostalgic and futuristic elements in a way that seems peculiarly British – which is some ways what Morley’s writing does! He pushes the intellectual boundaries and his erudition is always on display, pulling in disparate cultural references and tying in his early experiences on the Underground to post-punk, Eno and Can (the latter being the source of all musical things to do with the Bakerloo, apparently!) A Paul Morley book is never dull! And this being a PM book, we may well start off talking about the Tube, but it’s not long before we are meandering off all over the place, reflecting on music, Walkmans (Walkmen?? ), technology, the past and the future. These rich, extended meditations are a joy to follow and I love his discursive style and apparently random shifts of subject which make the most unusual and unexpected connections, but actually end up making sense. Morley tells of his coming to London, learning to navigate and take travelling by Tube for granted, highlighting the strangeness of the concept of disappearing under the ground to travel on a train! Much of the writing is heavily autobiographical – in fact, it could be argued that most of Morley’s work draws on his life experience – so you do have to be prepared to want to listen to his opinions! 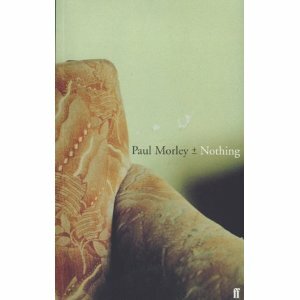 At the end of the day, it’s usually not really possible or even necessary to say what a Paul Morley book is about; but as near as possible, this volume is about Morley’s coming to London, bedding in there and experiencing life at the dawn of modern technology — with a little bit of Tube train riding in there too! I know his work is often very much a love-it-or-hate-it thing, but I love it. Essential reading! After the stress of trying to read a modern book(!) 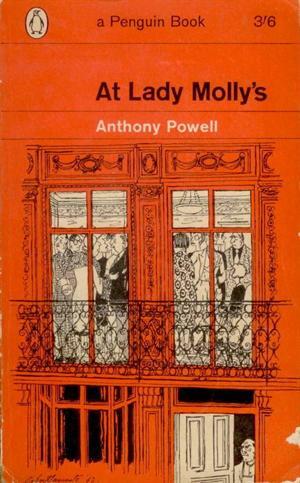 and not liking the prose at all, it was a great relief to return to Anthony Powell and his beautiful writing, strong characterisations and wonderful plot! 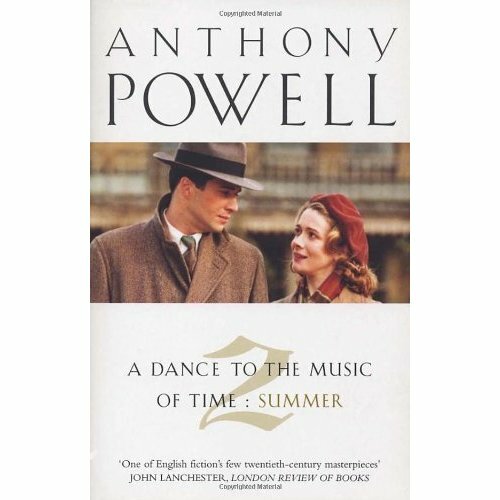 “At Lady Molly’s” is the fourth in the “Dance to the Music of Time” sequence and therefore my April read, which I approached with delight! As I’ve now come to expect with Powell, the start of a new book means a whole new raft of characters and a setting that has moved on from the end of the previous novel. We are now into that difficult decade, the 1930s, and our narrator Nick Jenkins is 28 or 29 and working in the film industry knocking up scripts to meet the Quota (by which there had to be the same amount of films made in the UK shown in cinemas as were US produced ones). His affair with Jean Templar is over, and as we meet him again he is being taken to the eponymous residence by Chips Lovell, a co-worker at the studio. Lady Molly’s house is a gathering place for a number of disparate characters, including the ubiquitous Widmerpool (who is now engaged to a rather formidable older woman, Mildred Haycock), Alfred Tolland, General and Mrs. Conyers who are old friends of Nick’s (plus Mildred is the General’s sister-in-law), and later on Mark Members. There are references to many past alumni in the books, like Sillery and Bob Duport, and in many ways although Nick will continue to meet new people, they all somehow seem to be connected to the old acquaintances who recur in his life. The wonderful Quiggin also reappears, rather delightfully and randomly in a cinema queue, and invites Nick for the weekend to his cottage in the country. Quiggin and Mona are still together (just) and during the visit Lord Warminster, head of the Tolland family and known variously as just Warminster, Erridge, Erry or Alf(! ), appears and invites them to dinner at his crumbling stately home Thrubworth. The dinner is disrupted by the arrival of two Tolland sisters, and Nick decides instantly that he is going to marry one of them, Isobel! There are cracks appearing in the Quiggin/Mona relationship and it is somehow not a surprise to learn later on that Erry and Mona have run off to China to ‘observe conditions’ out there. Meanwhile, Nick bumps into Ted Jeavons, Molly’s husband, in a pub and ends up visiting a nightclub run by Umfraville. Mildred, Widmerpool and Templer materialise and there is drinking and merriment, particularly when Mildred realises that she had a brief liaison with Ted during the war. Back at Lady Molly’s once more, to celebrate his engagement to Isobel, Nick finds out that Widmerpool’s forthcoming marriage has been called off. There are differing stories as to why, although the version told by General Conyers in a long, man-to-man session implies that poor Kenneth had fallen down somewhat in the bedroom department! (This is after a very funny section where Widmerpool asks Nick’s advice, in an almost aggressive way, about whether he should be sleeping with Mildred before they are married, etc.) However, Widmerpool appears briefly at the end, bouncing back as always, and seems rather unconcerned by the whole thing, actually feeling that he is able to give Nick advice on getting married! The stitching together of the various plot elements leaves the reader gasping slightly with admiration, and AP loves to pop in unexpected appearances by his cast! But there is so much packed into what is a relatively short novel. Despite once again taking place over a limited number of gatherings or events, as the story continues the connections Powell is so fond of drawing out of life are revealed. The revelation of Widmerpool’s part in getting Duport and Jean back together and therefore ending her affair with Nick is quite stunning, and revealed in an almost off-hand way during conversation. There is the usual focus on people, not events, though the political background of the decade, with its rumblings from Hitler and hints of war, is discreetly mentioned and colours the behaviour of the cast of this tale. Powell is often very subtle, and I wondered whether having his characters discuss Orlando by Virginia Woolf was trying to hint of the type of relationship between Norah and Eleanor? And the conversation between Nick and General Conyers about Widmerpool’s failings, scattered with psychoanalysis and discussion of complexes etc is screamingly funny, and very unexpected! My one disappointment with the book is the fact that Nick gives away absolutely *nothing* about his courtship of Isobel. Literally, they meet, he decides they will marry and then they are engaged! We learn little about her, only seeing her directly very briefly and I found this a little frustrating, particularly as Nick had begun to open up a little bit in the last volume. But I suppose we have become used to mostly seeing him against a background of social gatherings, very rarely at work and never in a domestic setting. I always find Nick’s/Powell’s meditations on the dance of life, and the small, everyday coincidences we experience, very thought-provoking. He has the gift of putting into words emotions we all feel but cannot articulate. This is an excellent novel, and I’m once more looking forward to next month! The short version of the story is that OH got me the fourth book in the series for Christmas because it features Portmeirion, which we both love. However, when I told him it was the fourth, he then got me the first three for Valentine’s Day! (How sweet!) But he didn’t realise that I had tried with the first book once before when I borrowed it from the library and I stalled quite early on. Nevertheless, as I had been given these as a gift, and as I love Josephine Tey’s books, I figured I would have another go and persevere a bit more. 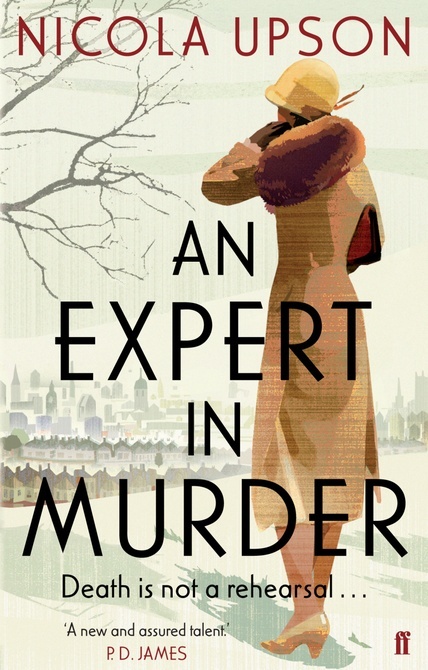 Basically, Upson’s series of books are written on the basis that the writer “Josephine Tey” is a character investigating murders alongside her policeman friend Archie Penrose. This first tale starts with “Josephine” travelling down from her home in Scotland to sort out some theatrical business concerning her successful play “Richard of Bordeaux”. She befriends a young woman fan on the train, who is then murdered in a fashion that points towards the play and so “Josephine” and Archie are drawn into the investigation. b. I actually didn’t really care very much at all! The problem is that I *really* wanted to like this book. As I mentioned, Josephine Tey’s books are some of my favourite classic crime novels; “The Daughter of Time” got me really fascinated with Richard III; and my recent re-read of “The Franchise Affair” was a knockout. On top of all this, I actually enjoy reading books where real people become characters – I’ve read most of Gyles Brandreth’s Oscar Wilde mysteries (they’re a hoot!) and also Matthew Pearl’s “The Dante Club” and “The Poe Shadow”. So what went wrong here? Well. I’ve thought about it a bit and come up with a number of reasons why I didn’t get on with this book (and I really did try – sat down and read one-third of it in one go to see if I hadn’t tried hard enough last time). Firstly, I have to say I found the writing a bit plodding in places – the construction is quite self-conscious, dropping references in so we know where this is happening, who it is happening to and who they are/why they are famous etc. One particular chapter had a sequence of paragraphs told from the point of view of at least 8 characters to introduce them one after the other which really made for difficult reading and put me off. And I found the characters in the main unconvincing and rather cardboard too – none of them came alive, or leapt off the page, for me; not even “Josephine” herself, and it’s crucial that she should be believable. I didn’t actually care who had murdered the girl, or why, or whether they got away with or not, or whether “Josephine” was in peril. In fact, I found it hard to differentiate the characters as they really didn’t take on much identity of their own. There was really not much sparkle and atmosphere throughout. Another issue I wasn’t convinced by (and which I’ve noticed other reviewers have highlighted) is her treatment of the gay characters. There is plenty of up-front discussion of homosexuality which really isn’t credible for the time in which the book is set. Don’t forget that in the 1930s it was a criminal offence and even in theatrical circles I would imagine there was much more discretion than is displayed here! You might notice that I’ve been putting the character “Josephine” in quotes, because I think this is where the book fell down fundamentally for me. Josephine Tey was a pseudonym used by a shy woman for her detective novels, and who wrote her plays under a male pseudonym. Therefore, to have a character with this name is bizarre because if the real writer of “Richard of Bordeaux” had been visiting London for theatrical reasons, they would have been calling her Elizabeth! The muddling of pseudonyms is not the only issue I have. Despite my liking of real people as characters (declared above!) I felt decidedly uncomfortable about this particular blending of real and imaginary. For a start, Tey’s life is still very recent to start using her as a character in fiction, and people in her life and plays (like Gielgud, who made his name in “Richard of Bordeaux”) still seem very recently alive to me – not enough time has elapsed. To use aliases and inventions for many of characters but expect us to believe in a fictionalised Tey is clumsy and to be honest it comes across as a little lazy – why not just create new and interesting characters if you have a story to tell, instead of hanging a thin plot on a real person and expecting us to believe in them. And the aforementioned Wilde and Poe were larger-than-life characters not remotely averse to putting themselves in the public eye; I imagine they would have no problem with featuring in another author’s fiction as long as they took centre stage! However, Tey is a different matter and I found myself thinking she would actually hate this kind of attention. I don’t normally write really negative reviews because I know it must take an immense amount of work to write and produce a book – I’m sure I couldn’t do it. But I actually couldn’t be bothered to finish this; the fact that I didn’t engage with the characters at all, so much so that after reading one-third of the book I had no interest at all in finding out what happened to them, says all that needs to be said. Instead of struggling on any further, I skipped to the end to find out whodunnit and then put it back on the shelf. Whether any of the other volumes will make it off the tbr remains to be seen…. Back to the immortal Fyodor, and this time with a slightly obscure novella – well, obscure in that I hadn’t heard of it until recently and because it isn’t normally bracketed with all his other, higher profile works. However, having read it, I really can’t understand why! My volume is from Hesperus Press and translated once more by Hugh Aplin. I see they list the book as being unavailable on their website (why? why?) but you can get hold of copies quite easily from online booksellers (which is what I did). “The Eternal Husband” opens with us being introduced to our narrator, Alexei Ivanovich Velchaninov. Velchaninov is a middle-aged man, something of a society rake, who, as we meet him, is having some kind of mid-life crisis. Stuck in St. Petersburg in a summer of White Nights, dealing with a long-running court case (which is obviously more long-running than it needs to be owing to his constant interference! ), he is suffering from a kind of ennui – unsettled, not knowing what to do with himself, obsessed with the court case. But suddenly Velchaninov starts to see a man with crepe on his hat – a strange man with a face disfigured by smallpox, who seems to keep crossing his path and almost seems to be watching him. This man suddenly turns up at Velchaninov’s lodgings in very unsettling fashion, and turns out to be Pavel Pavlovich Trusotsky, with whom Velchaninov had been friends some nine years ago. What is also gradually revealed is that Velchaninov was also the love of Trusotsky’s wife, Natalya Vasilyevna, who has just died and Pavel Pavlovich has become aware posthumously of her infidelities (as Alexei Ivanovich was obviously one of many). Velchaninov is initially flummoxed, uncertain as to why Trusotsky has come to St. Petersburg and sought him out, particularly when he finds out that Pavel Pavlovich has brought with him his daughter, Liza. The child is 8 years old and it becomes clear that Alexei is her biological father, and that Trusotsky either suspects or is aware of this, as he treats her very badly. Velchaninov attempts to rescue her from Trusotsky and takes her to stay with a friendly family he knows (the Pogoreltsevs) at their dacha, but alas it is too late. I’m just absolutely stunned by this novella and I can’t imagine why it is not better-known. The writing is up to the standard of the best of Dostoevsky, and I found it just as gripping as “The Gambler” – quite unputdownable with an incredible emotional impact! FD’s characterisation is brilliant and the main protagonists so well portrayed. Basically, neither of the two combatants are particularly good men, but of the two Velchaninov is definitely the better – despite his dissolute society past, he has some goodness in him and is repelled by the baser side of Trusotsky. Pavel Pavlovich himself is a despicable character – unpleasant, violent and manipulative; cruel physically and emotionally to his daughter; and in his pursuit of a 15-year-old schoolgirl, displaying some very creepy tendencies. There’s also a strong supporting cast, including the lovely Pogoreltsev family plus the Zakhlyobinins and their friends. However, the two main men are always to the fore and strongly and strikingly portrayed. There is of course one other person involved in this story – the femme fatale who is in many ways the catalyst for all the events of the book. We see Natalya Vasilyevna only filtered through the eyes of her cuckolded husband and her lover: she comes across as a dominant, predatory and manipulative woman but we cannot know how reliable this image is. Liza’s love for her mother is only revealed after close questioning by Alexei Ivanovich, and is obviously something she keeps close to her heart, becoming angry with Velchaninov for drawing this out of her. Natalya’s sudden death from consumption gave her no time to deal with her incriminating letters – but I did wonder whether she would have simply left them behind as a kind of punishment for her husband. 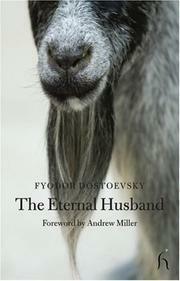 There is an underlying theme in this book which might not be obvious to the modern reader, which is a debate going on in Russia at the time as to whether men can be divided into two simple categories – the dominant, predatory type or the passive “eternal husband”. 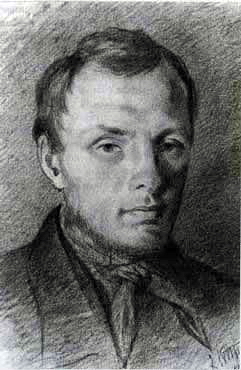 Although it isn’t necessary to take this on board particularly to enjoy this novel, it is interesting to note how Dostoevsky was challenging this stereotype with his writing as both men display characteristics of both types at points through the book. FD was also commenting on such horrors as the Russian legal system and endless court cases (somewhat similar to elements in Gogol’s work) and it is interesting how the case becomes almost symbolic of Velchaninov’s malaise and once it is settled he recovers his health and his life. And this letter is so much worse than any love notes Trusotsky might have found from gentlemen acquaintances of his late wife, as it is from her own hand and is evidence that she was active in this love affair and not just the passive recipient of admirers’ declarations of passion. So what are we to make of the end of the book? A rejuvenated Velchaninov is travelling by train to visit a lady acquaintance, and encounters Pavel Pavlovich and a new wife. The court case has been settled (mainly because Velchaninov was so distracted by Trusotsky and his behaviour that he left his lawyer alone! ), Alexei Ivanovich is in funds and all seems well. But it is not really – the malignant influence of Pavel Pavlovich appears almost straight away – his new wife is charmed by Velchaninov and invites him to stay with them. Trusotsky of course is violently against this as he can foresee becoming a cuckold once more. The last line is very ambiguous and leaves the reader wondering – will Trusotsky and Velchaninov be locked together in emotional combat for the rest of their lives?? This work should be better know, imho – it’s a worthy addition to the highest rank of Dostoevsky’s work and a lot more coherent than some! Also, being slightly shorter, it’s easy to read and does away with some of the philosophical ponderings in the longer works. However, it has much to say about the human condition and also tells a cracking story too! The same themes were obviously still working in FD’s mind and he shows them to great effect in this shorter work, wonderfully translated by Hugh Aplin – highly recommended! It’s April (for anyone who hasn’t noticed!) and I’ve reached book 4 in my monthly read-along of the Barbara Pym novels (we LibraryThing members are celebrating her centenary, if anyone has missed this!) “Less Than Angels” is this month’s book, a tale of love and academia, set in the world of anthropology. This science is, of course, not making its debut in Pym’s fiction here, as several anthropologists featured in her second novel, “Excellent Women” (and in fact some of Pym’s earlier characters re-appear here – a recurring trend in her work, I’m finding!) However, the focus is firmly on academia in LTA, with a large cast of professors, students, priests and excellent women. But Pym throws her net a little wider this time and we have stifling suburban families and willowy young women wishing to break out as well. As for the plot – well, probably our main character is Catherine Oliphant, a writer of short stories and pieces for women’s magazines who lives with Tom Mallow, an anthropologist who is just returning from the field. Catherine and Tom’s relationship is a strange one – not seemingly founded on any great passion, but one which they have just slipped into. We are left wondering early on quite what they have in common as there does not seem to be much of a meeting of minds. There is a side plot of a number of the students applying for grants for fieldwork, and also the mystery of Alaric Lydgate, who has returned from the field but never done anything with his notes and lives as a recluse. Then Tom meets young student Deirdre Swan, who falls in love with him and becomes the catalyst for the breakup of his relationship with Catherine. I have to say that the break-up was very well depicted; not dramatic or spectacular, just sad, somewhat inevitable and coming across as almost happening without great provocation. Pym portrays the pain and confusion of the ending of a relationship well and I wonder again how autobiographical this particular book is, because this part of the story is very convincing. However, LTA didn’t entirely succeed for me as a novel for a number of reasons. The plot goes in too many directions and the various strands do not really cohere. There are long sections on Tom, Catherine and their associates’ love lives which is then abruptly dropped when Tom goes off to Africa, and we then have chapters on the grant funding weekend where Mark and Digby, the two major student characters, compete for the chance of a grant. Tom’s death is almost thrown in as an afterthought, a plot device to get rid of him and allow the rest of the characters to move on to the next phase of events. Catherine’s attraction to, and involvement with, Alaric Lydgate is somehow unconvincing and I felt that he wasn’t really developed enough as a personality. I also found myself wondering about Pym’s motivation with this novel. Her previous books have told a good tale, but I felt with an underlying commentary about the role of women, the kind of relationships they have with men and with each other, and a funny look at the worlds of churchgoers, anthropologists and excellent women. 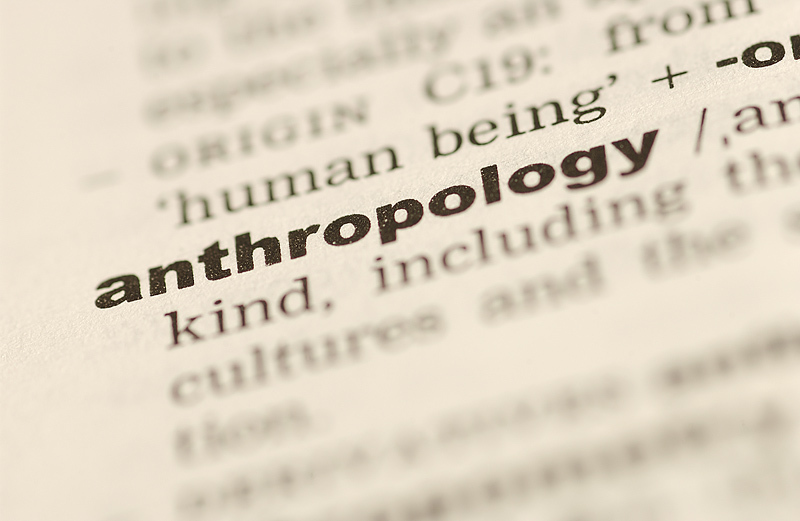 But I didn’t find these elements here at all, really – the book came across as a fairly broad sideswipe at academia and the science of anthropology itself (perhaps most obviously in the burning of Alaric’s notes at the end in an almost pagan ceremony!). Pym seems to be implying that it’s a fairly worthless pursuit, followed by those with no wish to engage in real life itself, but simply to observe it from outside – an accusation that could in fact be hurled at novelists, although Pym allows Catherine (her alter ego?) to experience love and loss and so involve herself in living. I did wonder whether any of the happenings in LTA were based on Pym’s own life and experiences, and if the book was perhaps a kind of catharsis – no doubt I shall find out if I read a biography! Certainly, she is critical of anthropology, and when Tom visits his family in the country, his comparisons of the rituals and traditions there were the cultures in so-called primitive countries is very sharp (and the above quote is also relevant here too). There *is* something of a subtext in this book, which is that of the rejection of the traditional and the suburban way of life. Deirdre is desperate to break out of the confines of her family, and aspires to a lifestyle similar to that of Catherine. She finds the prospect of settling down with Bernard, a reliable young man with a steady income, terribly dull. Conversely Catherine, who has lost out on family life through the death of her parents when she was young, finds considerable comfort staying with the Swans after Tom’s death, although she ultimately rejects this way of life as a long-term option, preferring to reclaim her independence. But Pym I think is a little ambiguous in her feelings here, unsure as to whether family life or the single life is best. This possibly all sounds a little negative, and I did enjoy LTA a lot – there are enough examples of Pym’s clever writing and dry wit to lift it – but I didn’t engage with the story or the characters in the same way as I have her other novels and ended up feeling slightly let down at the end. However, not -so-good Pym is still streets ahead of most modern novels I look at, and maybe I shall get on better with next month’s book! My recently displayed love of all things Russian is nothing new – I first began reading Slavic authors in my teens when I discovered Solzhenitsyn’s work, and started exploring the intriguing-looking old hardback volumes of Dostoevsky and Tolstoy in my school library. In my twenties I cast my net a little wider, exploring the politics and history of Russia, and during my regular visits to London to meet friends and trawl the bookstores, I would always call into Collets International Bookshop in the Charing Cross Road. Collets was fun – a kind of propaganda exercise for the Eastern Bloc, really, selling Russian books in the home language and also English, plus music, badges, pamphlets and all sorts of interesting things. I always used to feel very subversive shopping in there, and I did pick up some marvellous items – particularly editions of works by my favourite Russian author of the time, Vladimir Mayakovsky. A particular joy at Collets was being able to find lovely little books put out by Progress Publishers of Moscow. Progress were a Russian enterprise, putting out English language volumes of interest to Russophiles like me – political works by Lenin and his ilk, memoirs by Gorky, biographical and critical studies, plus a lot of fiction. These were, like Collets, obviously meant to convert us decadent Westerners to the ways of Communism, and there were some fascinating little volumes. Many of the books were hardbacks with illustrations and nice dust jackets, and all had a little message at the back inviting you to write to the publishers in Moscow with any opinions or suggestions! Both Collets and Progress fell by the wayside post-Perestroika and the fall of the Berlin wall but when I had a little audit recently of my Russian books to see if there were any gaps needing filling (!) I was surprised and pleased to see quite how many Progress books I have on my shelves. 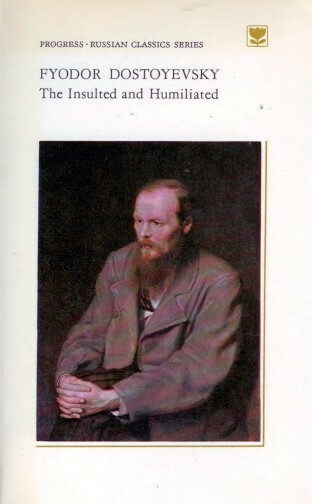 And checking online, it is still possible to pick up some little gems – a good example being this hardback of Dostoevsky’s “The Humiliated and Despised” which just arrived today. With my fixation on finding the right translation, I would have gone for a Hugh Aplin version if there was one, but there isn’t – only a Pevear/ Volokhonsky version and I’m afraid I really don’t trust their rendering. So maybe a nice translation by some nameless person who wanted to render Dostoevsky readable to the Western world will be a good one! I miss many of the independent book shops that used to exist in Charing Cross Road. There are still many left, but a lot of the smaller, more interesting ones are no longer with us. Collets was a particular favourite, coming from a past time, when East and West were divided by ideology but could be united by great literature, and I must admit feeling a great amount of nostalgia for it! 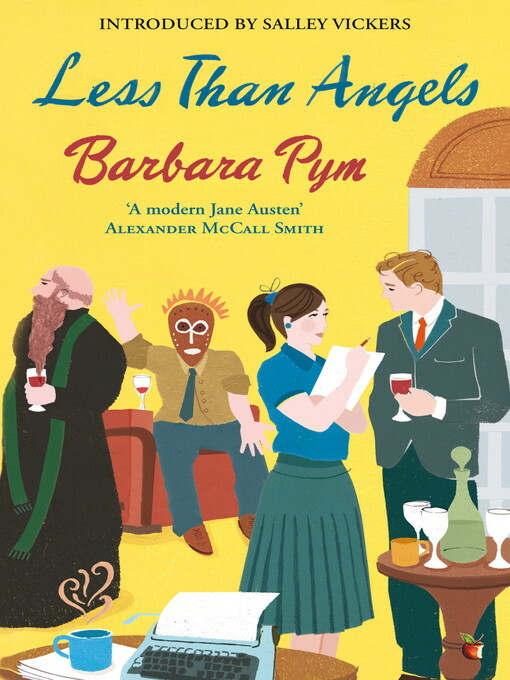 Yes, the Russian kick continues (although I am now getting on to one of my monthly reads, “Less Than Angels”, another wonderful Pym which I am currently enjoying). I couldn’t settle to read anything much after “The Gambler”, because I loved it so much, and after dipping in and out of the “Portable Russian 20th Century Reader”, I decided to go for more FD, in the form of his second novel, “The Double”. Again, this is a nice new shiny edition from the lovely Alma Classics and translated by Hugh Aplin, so I was hoping for good things. 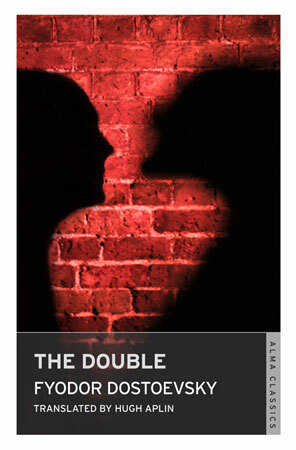 As I said, “The Double” is Dostoevsky’s second novel, and it was apparently very controversial in its time. It tells the story of Mr. Golyadkin, a clerk in the incredibly complex Russian Civil Service. A nervous, highly strung character, we meet him preparing for an outing and splashing lots of roubles about. After visiting his doctor in a state of mild panic, he eventually sets off to an evening society event, a young lady’s birthday party hosted by one of his colleagues. However, he is unexpectedly refused entry, and has to gatecrash the gathering – which backfires terribly as his colleagues are angry and he is firmly but discreetly escorted from the premises. This rebuff causes him great anxiety and he runs around the snowy, wet streets of St. Petersburg where, after a strange sensation or two, he encounters – well, himself! The double which has appeared is identical in every respect except for temperament, and insinuates himself into Mr. Golyadkin’s life, taking over his career, causing the real clerk to be maligned and shunned. His life unravels along with his sanity and the book ends with him being whisked off by the aforesaid doctor – or does it? This is an ambitious and ambiguous book. It’s understandable on reading it now that it caused such a furore when it was published as the structure of the book is unusual. Much of the text is in the form of Golyadkin’s thoughts and phrasing and this disintegrates along with his mental state, so that his speech patterns become more and more repetitive and ragged as the book goes on – the more upset he is, the more incoherent he is. The sentences are long and involved, which gives them almost a narcotic quality and such complex, labyrinthine sentences must have been quite a challenge to the translator. As he spirals into madness, we see things from inside his mind which sometimes makes the allusions a little hard to pick up, but is convincing in the portrait of a breakdown. The use of a somewhat fragmented narrative to convey the state of Golyadkin’s mind was innovative and ahead of its time. No wonder audiences did not quite know what to make of this book! I haven’t gone into too much detail about the events of the story, because this is a portrait of a man’s disintegration and specifics are in some way irrelevant. There is, however, one important point to consider – does the double really exist or is he a fragment of Golyadkin’s imagination? This is where the ambiguity comes in because Dostoevsky leaves this issue open enough for the reader to decide. Certainly, the chapter where Golyadkin travels aimlessly through St. Petersburg after the party, with the rain, dark and snow adding a sinister atmosphere, has all the qualities of the best nightmare (and is also brilliantly written). It’s certainly enough to convince you that he intends the supernatural to be involved and that Golyadkin has split into two, with the very correct, timid and obsequious character he puts forward into the world being balanced by the double, who has all the characteristics he professes to despise but in reality wishes he has – success with women, colleagues and superiors, confidence and cheek. It could work as an allegory of human behaviour, as we are all doubles in a sense, putting on a face for the outside world which may not be how we really feel. However, it works as a scary tale of how we would feel if a real double turned up in our life and tried to usurp it. And as a portrait of a breakdown it’s unsurpassed. The end is nebulous too – is Golyadkin really being taken away by a doctor for treatment, or has he descended completely into madness or is he perhaps dead? I guess that’s all up to the reader to decide. This is a very different book to “The Gambler” – much more complex in its language, so a little harder to read. The characters are not so likeable, and in any event our image of them is filtered through Mr. Golyadkin’s sensibility and state of mind – although I did end up feeling very sorry for our poor beleaguered clerk who really cannot cope with life at the best of times! This is a remarkably striking, memorable and ultimately absorbing book and I’m very glad I read it. Now off to anthropologists and excellent women!